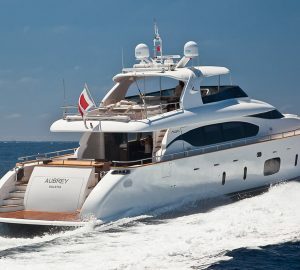 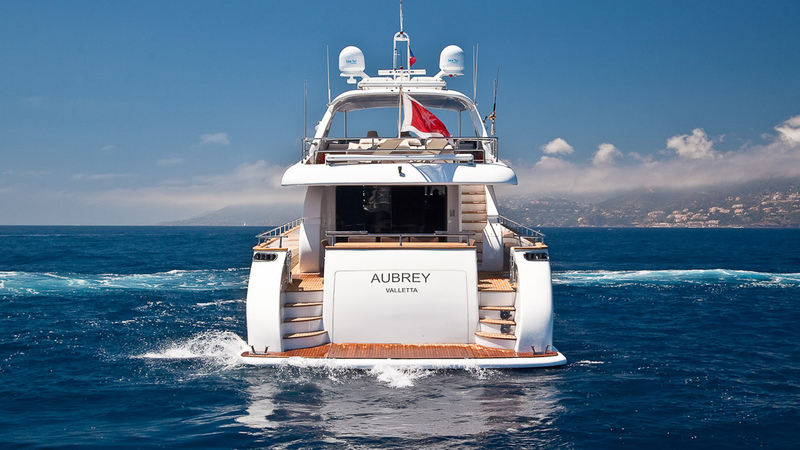 The 29m/94ft charter superyacht AUBREY (ex.VOLLY) was built by Maiora in 2012 and last refitted in 2017. 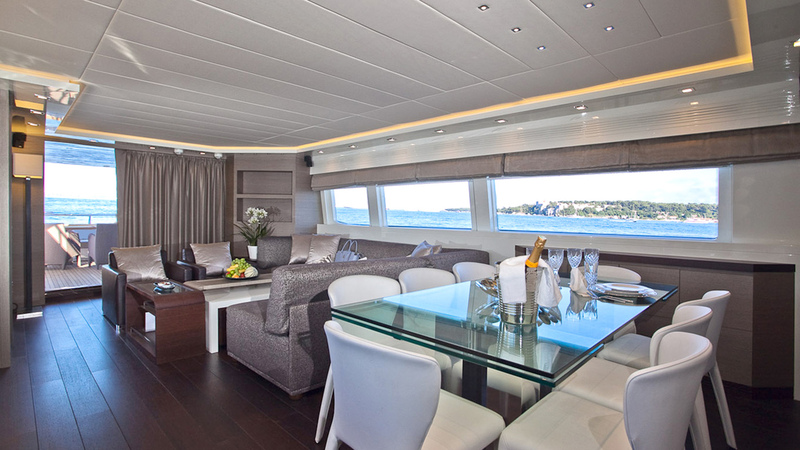 She sleeps up to 10 guests over 4 cabins. 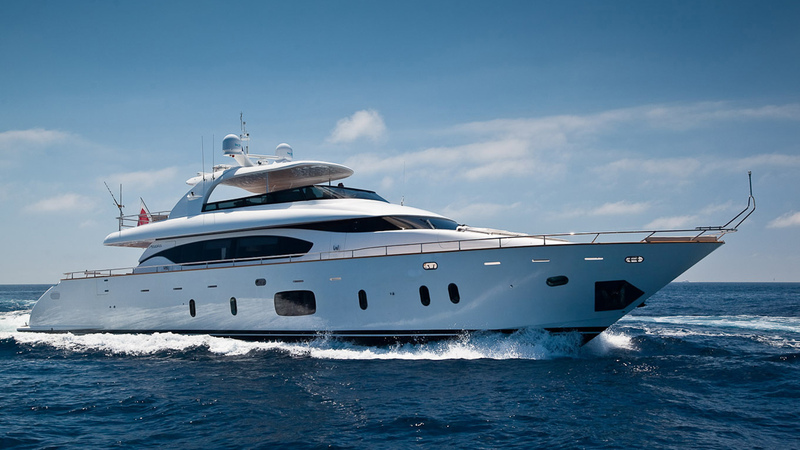 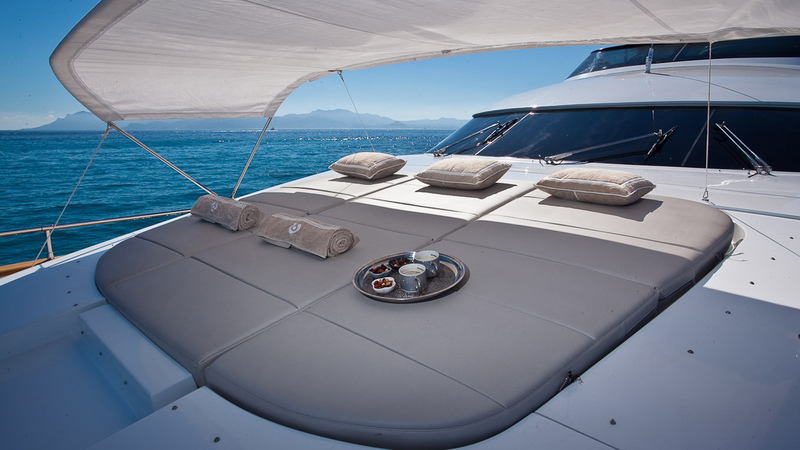 There is a large swim platform for sunbathing beside the water, and steps lead up to the main deck aft where guests can take an alfresco meal on the stern sofa. 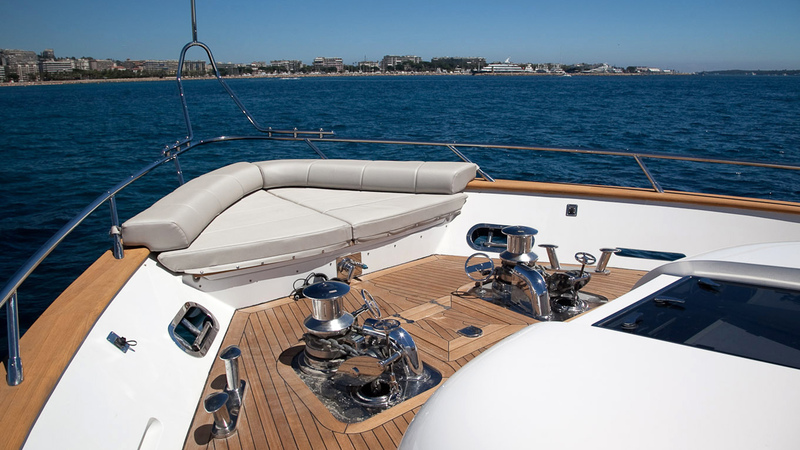 The bow is fitted with sunpads that can be shaded by a canvas for all-day outdoor relaxation. 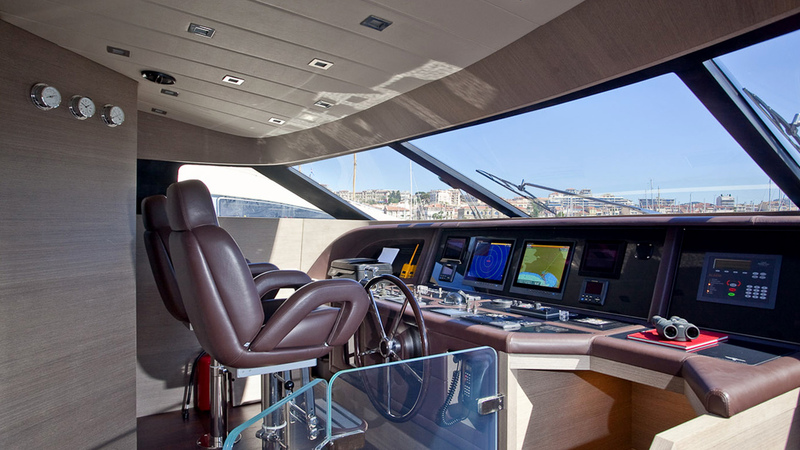 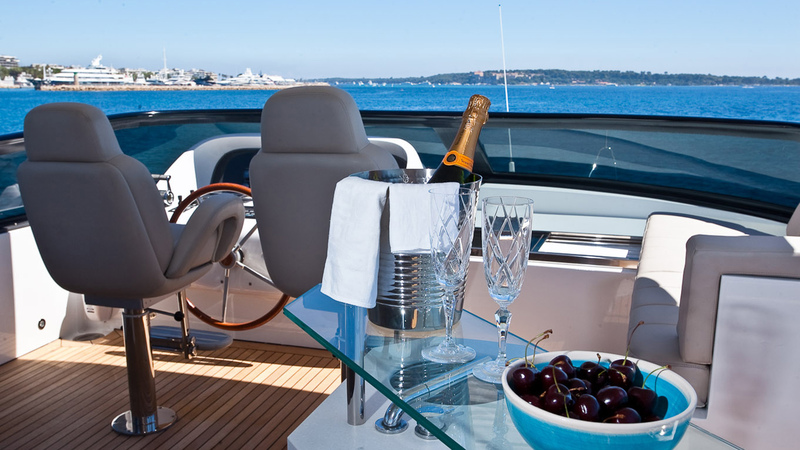 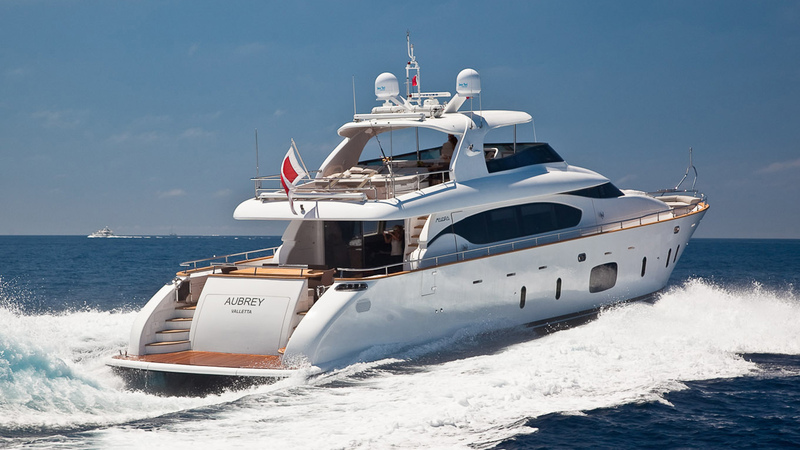 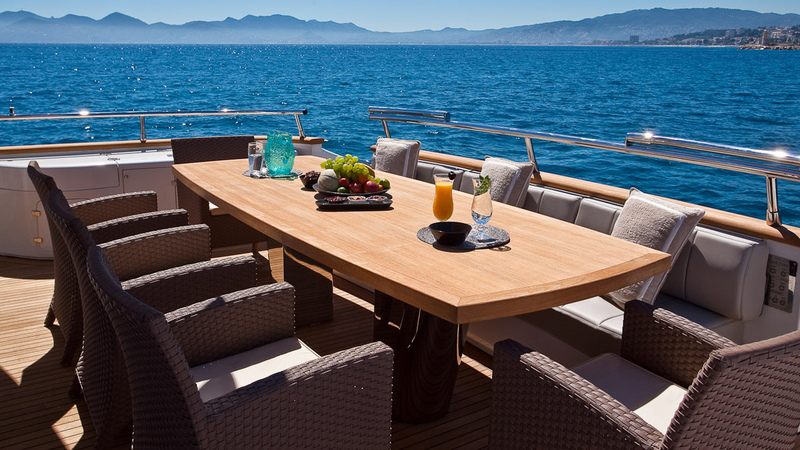 The flybridge above contains a bar behind the helm station and there is a square alfresco dining table amidships. 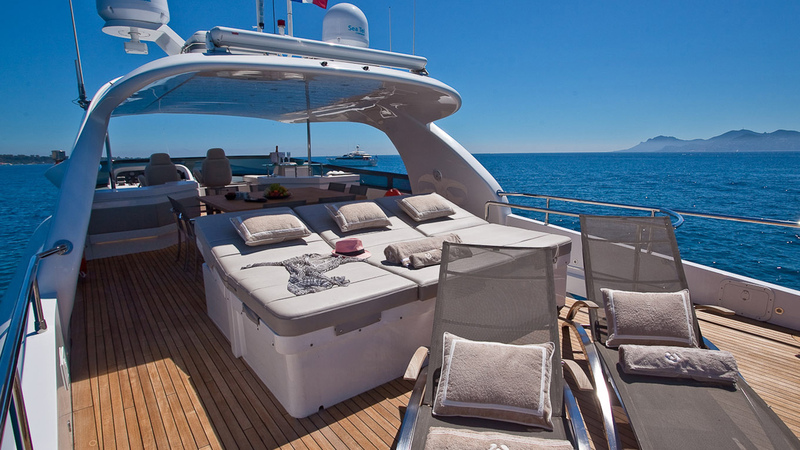 To the aft, there are sunpads that can be raised and additional sun loungers provide guests with an area to soak in the sunshine while taking advantage of the elevated position for sweeping views. 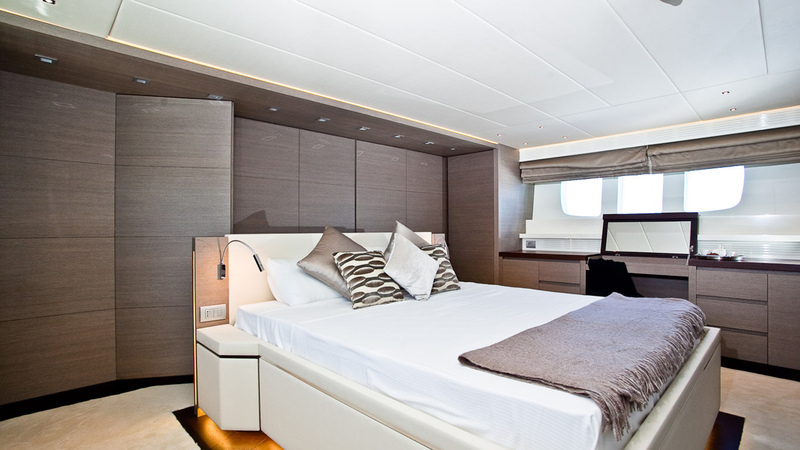 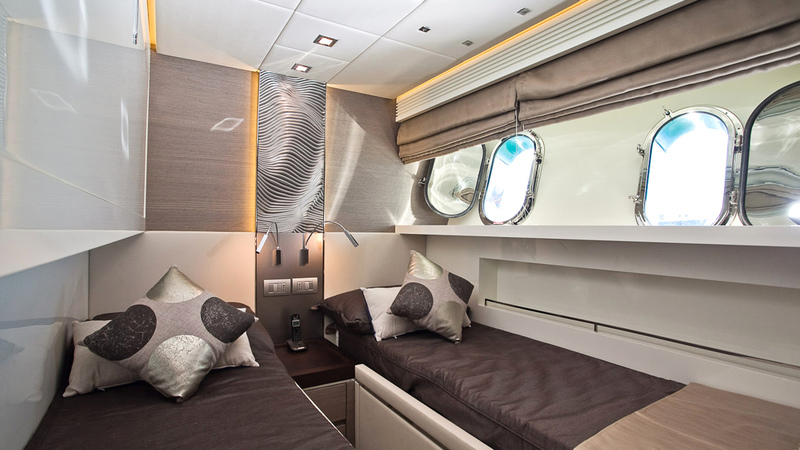 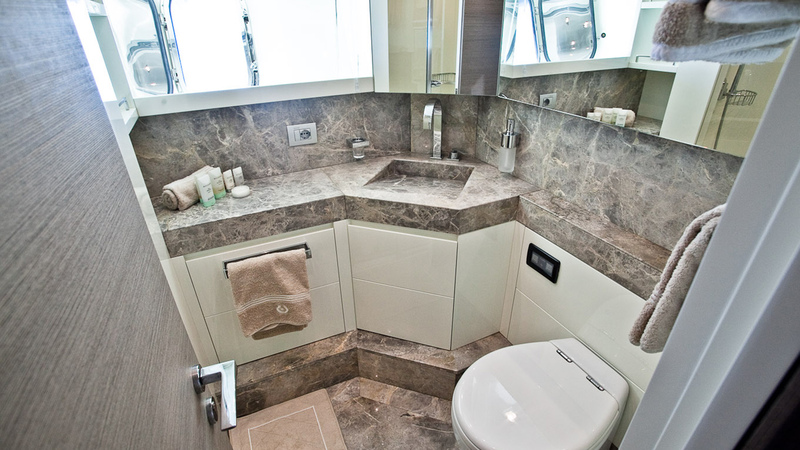 The lower deck layout contains the engine room and the guest accommodation consists of one Master suite, one double cabin and two twin cabins, all with en-suite facilities. 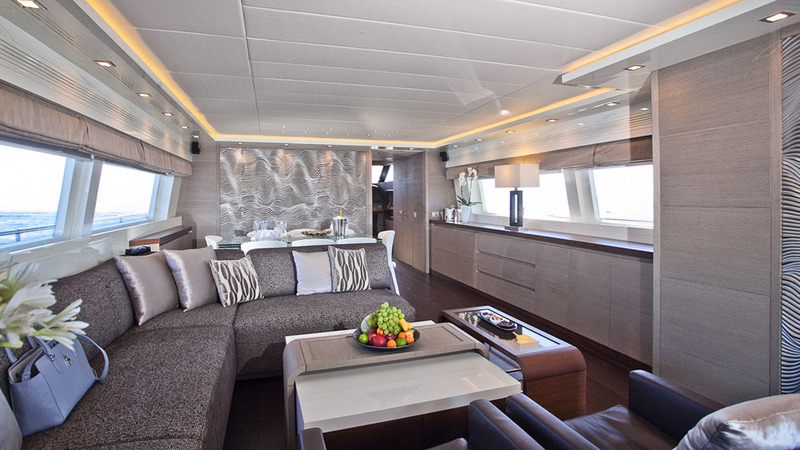 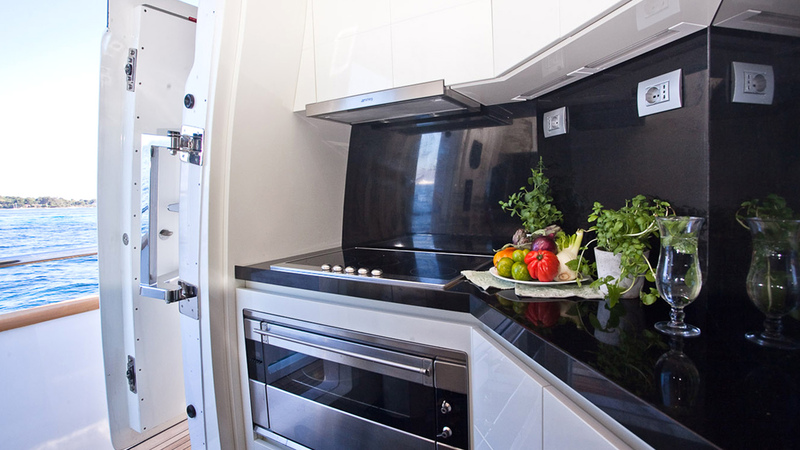 The galley is located on the main deck forward, behind which is the salon. 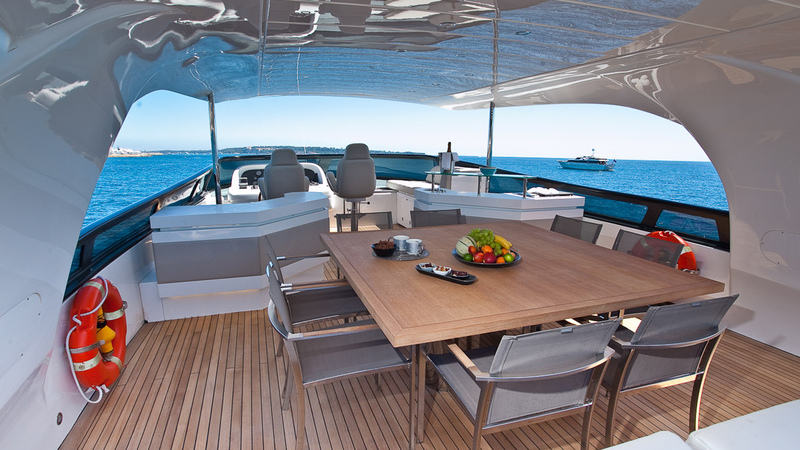 Silvery panels and furniture decorate the modern interior and create a sophisticated environment for formal meals between eight guests. 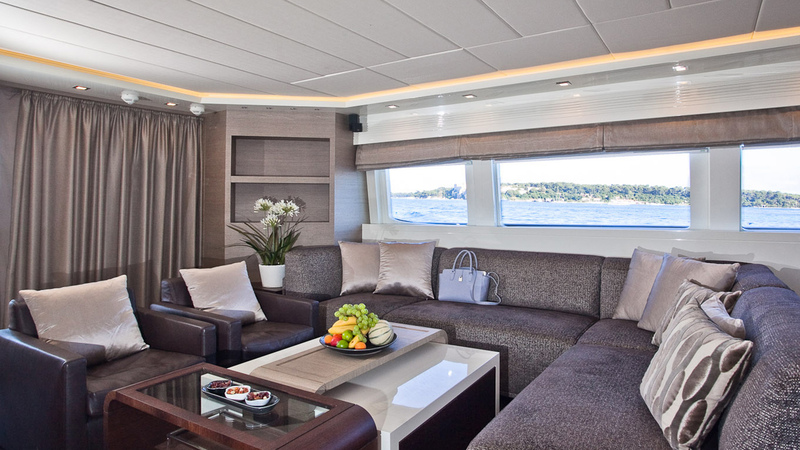 The lounge is located towards the aft and consists of an L-shaped sofa, armchair and nesting tables. 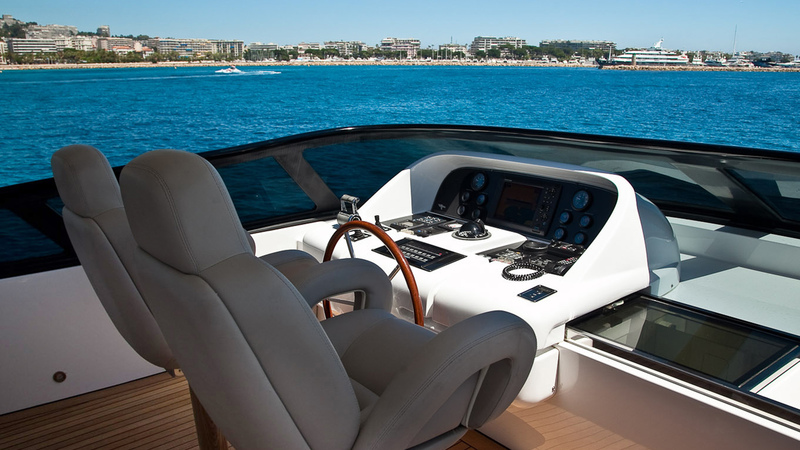 Twin 12V 2000 M94 engines produce a top speed of 25 knots and a cruising speed of 20 knots, with a range of 500 nautical miles. 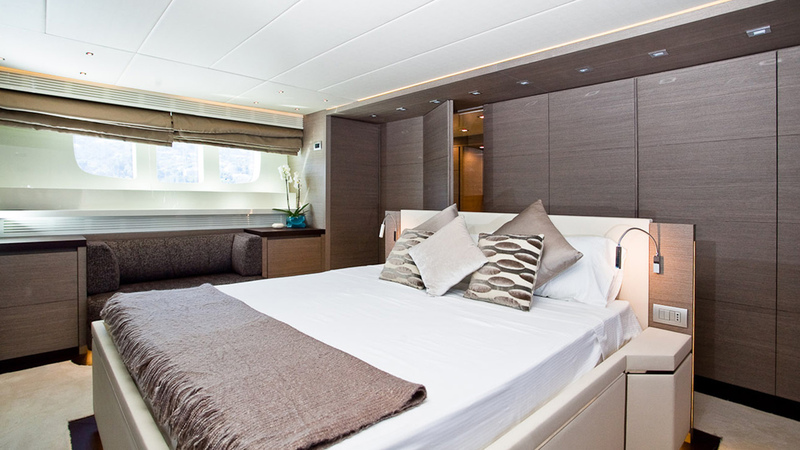 The accommodation sleeps up to 10 charter guests over 4 cabins: 1 Master suite, 1 double cabin and 2 twin cabins. 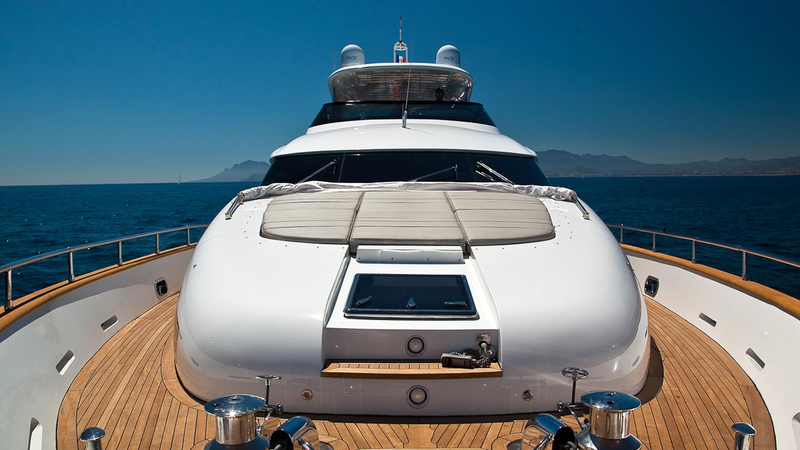 Her crew of 4 will provide for everyone on board.